Avondale, Arizona is a suburb of Phoenix and has an estimated population of 82,881. Located in Maricopa County this diverse community is the result of a variety of developments that came out of a railroad and farming community. Over time Avondale became a growing suburb. It was founded in 1880 as Coldwater; however, the name changed with the relocation of the post office and Avondale was incorporated in 1946. This fantastic community has plenty of exciting things of which to be a part. If you love racing, the Phoenix International Raceway is a place to watch a variety of races in this premier venue. For those who would rather drive than watch, the Rusty Wallace Racing Experience is your opportunity to get behind the wheel. First, you take part in a class, and then you get your chance to drive. If golf is more your choice of entertainment, the Coldwater Golf Club is 18 holes with something for any age and any skill. For those who love various outdoor recreation, Friendship Park offers tennis courts, soccer fields, and baseball fields. For the younger crowd, there is a play area that has been filled with wood chips for safety. And who doesn’t love to feed ducks in the area duck pond? For those looking for additional activities, there are also a variety of dance, exercise and martial arts studios in this diverse community. 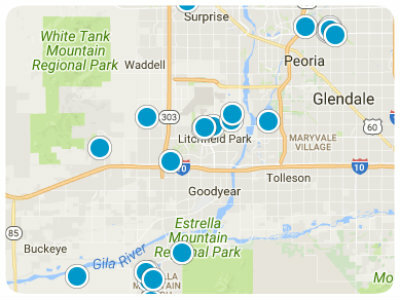 The real estate in this suburb of Phoenix is a collection of family-oriented neighborhoods offering homes from older ranch styles to more modern contemporary styles. Many homes are three to four bedrooms, on medium sized lots that have well-maintained yards. The area has a diversity of people, ensuring there are many different cultures and traditions to be experienced. Known as a great place to work and play, some have also reported this area has a “feel” less like the desert, and more like the west coast. New businesses continue to come in, and new upscale homes are being built. There are shops for daily needs with easy access in the neighborhoods, as well as the many options in Phoenix for additional necessities. 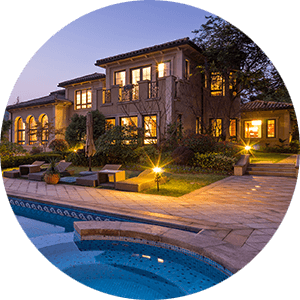 When you combine these amenities with the recreational opportunities and the variety of different sizes and prices of homes, you will see that this is a must-consider destination for home buyers searching in the Phoenix area. 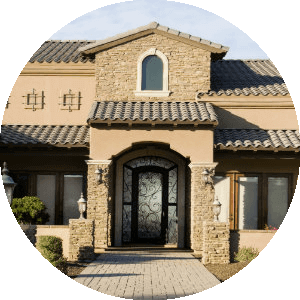 If you would like more information on homes for sale in Avondale, Arizona, please contact us today and allow us to assist you.